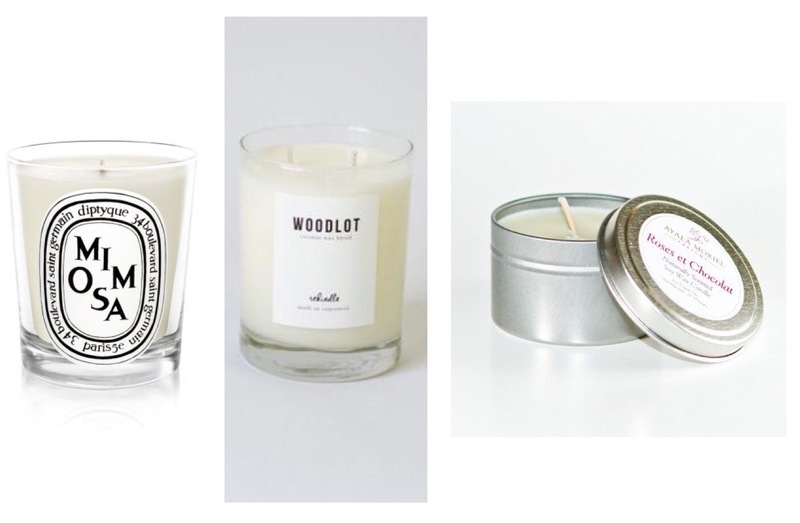 Several years ago, I used to work with a very talented, Vancouver-based perfumer. We worked together for about two years and in that time I learned a great deal from her, not only about the many, often challenging aspects of running an independent business, but lots of other things as well. One of the most valuable lessons she has ever taught me is the importance of being completely in the moment, not just physically but emotionally and mentally as well. As a natural perfumer, my boss would be constantly connecting with her inner self and senses, working with her hands and nose to create olfactory stories out of plant essences and oils. She lives, eats and breathes her art in every sense of the word. Admittedly, the first few months of working with her were unlike any other working experience I had ever had and my senses were nearly always overwhelmed by the vividness of her studio. The walls of her studio were always lined with beguiling paintings created by her daughter, smoky incense was always drifting through the air along with whatever exquisitely delicious dessert had been baked the night before and our periods of work were spaced with intervals of drinking tea and indulging in exotic treats, often from Israel, the country that she was raised in. The tea parties were one of my favorite parts of our working days. It didn’t matter what we were doing, even if deadlines were looming, we would always take fifteen minutes to unwind with some fragrant, unusual tea (that more often than not, she would have blended herself – think elderberry, or green tea with fir needles and juniper berry) and halva (a delicious sesame dessert from Israel). It would be redundant to say that we live in a society that encourages a work until you burn out mentality, but it would also be true. Of all of the articles written about achieving success, the focus is always on working hard one one’s careers. People don’t often think about the benefits that working hard on one’s happiness can have on the quality of a person’s life, in a personal and professional sense. Taking breaks are often portrayed as being a waste of time but what I learned working with my former boss was that recharging for a few minutes at a time throughout the work day is the best way to remain not only productive, but passionate about whatever it is one is doing (and the truth is that the best work is created when one is passionate and engaged). 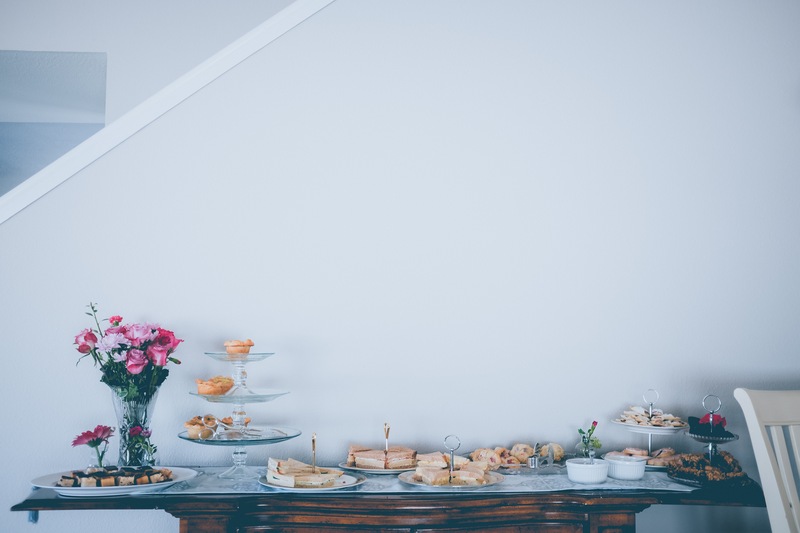 I also believe that taking breaks where one’s senses are fully engaged (as they would be during a tea party) helps pull people into the present. It’s difficult to be grinding a mental axe when your nose is filled with the creamy smell of jasmine scented tea or when a rich, dark chocolate truffle is melting on your tongue. I take tea breaks on a daily basis and without them I doubt I would retain my sanity for very long. 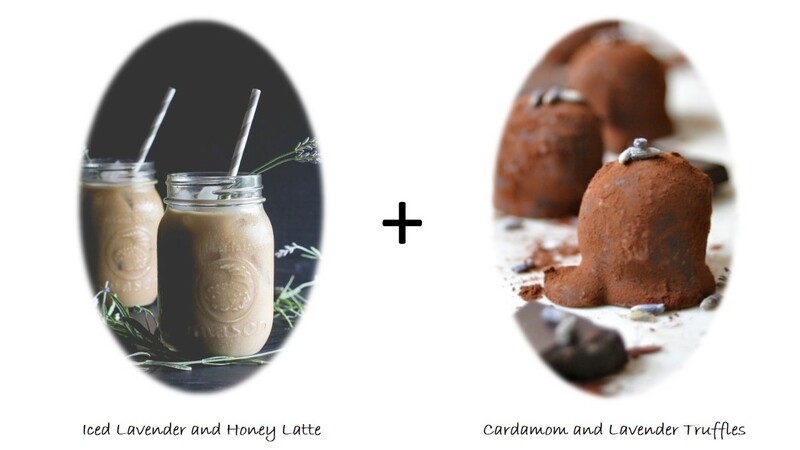 With the crucial importance of being in the moment and taking breaks on my mind, I have put together three tea and dessert combinations to help you unwind and let go this summer. A sucker for anything lavender, these soothing buds are mellowed by the sweet taste of honey. I have always loved the combination of bitter dark chocolate and herbaceous lavender and there is something that is so decadent about indulging in rich, dark chocolate truffles mid day. 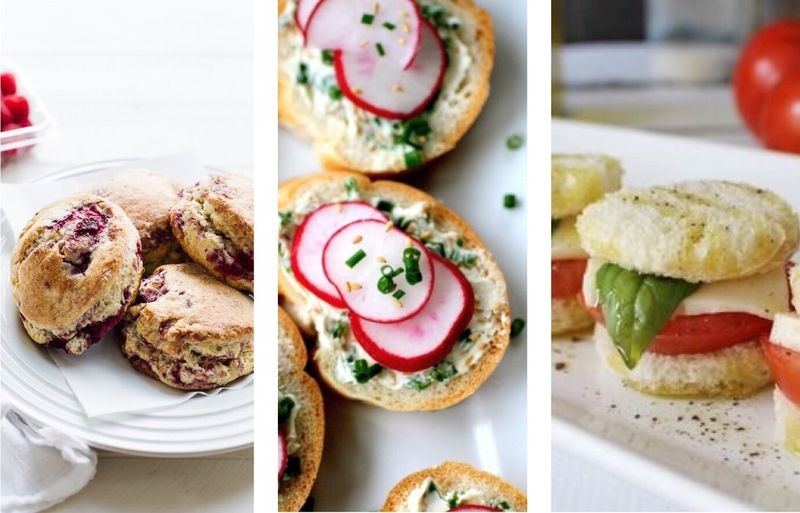 Pack them up and bring them to work for a very sophisticated lunch break. Nothing says summer like the delicious taste or ripe mangoes. 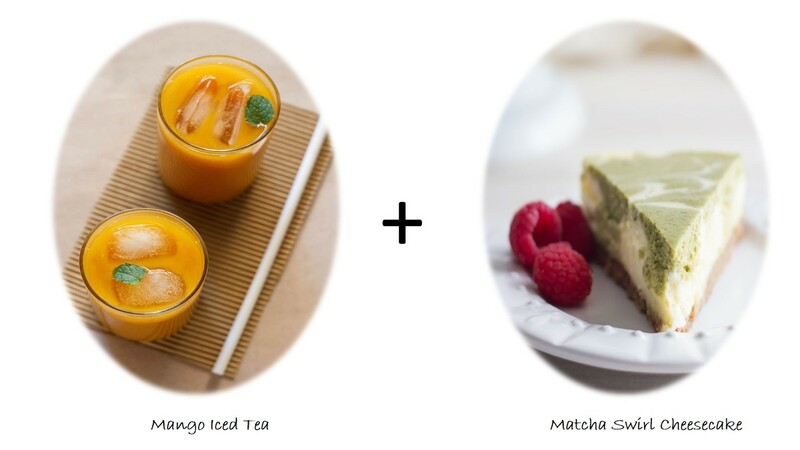 This blend of mango pulp and black tea is in keeping with the exotic flavor of this sweet (but not too sweet) matcha green tea flavored cheesecake. These two tropical treats would make a cheerful accompaniment to a summer barbeque. Having spent all of my summers since childhood on Mayne Island, where by early August, blackberry bushes are practically heaving with the weight of all of the berries, the sweet yet tart taste of blackberries immediately makes me feel warm and fuzzy inside. 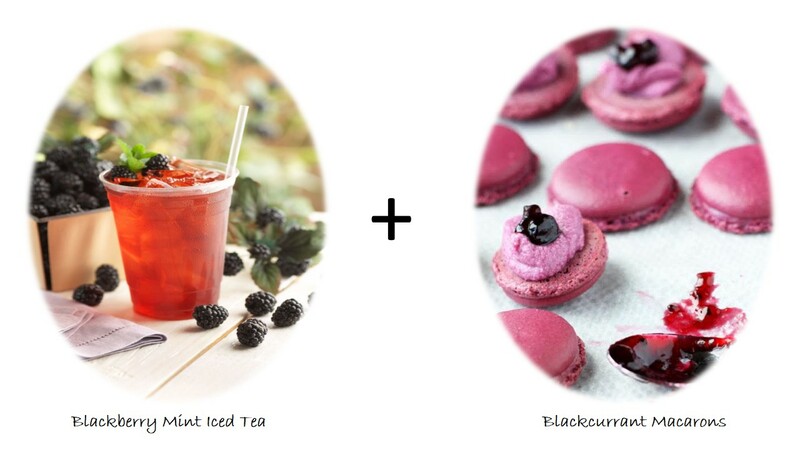 Blackberries taste great when added to any kind of tea (white, green, black, oolong, rooibos etc.) but I especially love them with a rich black tea. The addition of mint makes this drink even more refreshing during summer months. I found this recipe for blackcurrant flavored macarons a while ago and have wanted to try my hand at making them ever since. I think the syrupy heaviness of blackcurrant is balanced by the airy texture of this French cookie and complements the refreshing flavor of the blackberry and mint. Enjoy on the patio with the company of some girlfriends or simply a good book. 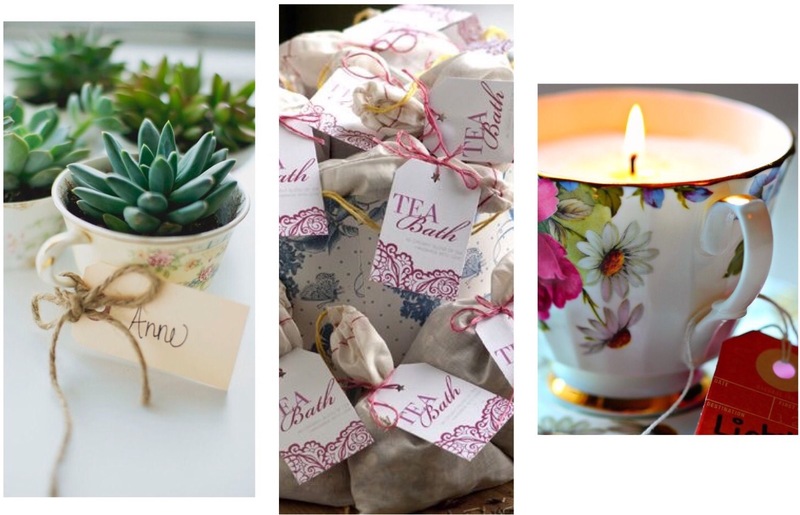 I hope that you enjoyed these ideas and that whatever you are doing today, you take time out to relax and be in the moment, preferably with a cup of tea and something sweet. Anyone who knows me knows three things about me. 1) I love to bake 2) I have an deep rooted tea addiction and an extensive collection that fills an entire dresser and cupboard full of different teas (I could 100% stock a tea shop) and 3) I have a serious obsession with all things Titanic (not really relevant to this post but it is one of the top three things anyone who knows me even a little bit would know). My love affair with tea began with my mom. 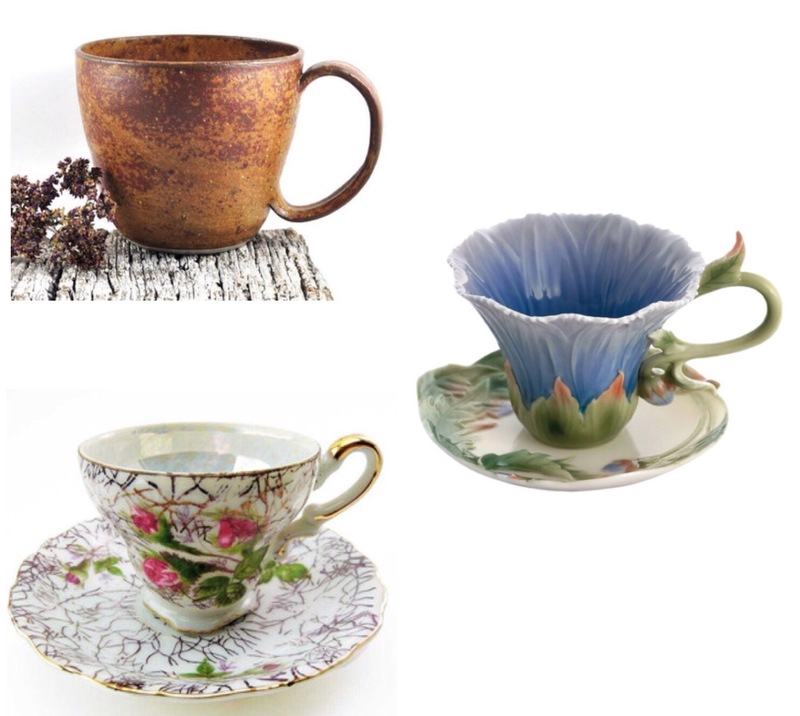 She has always loved tea and used to go as far as to dress me in clothing and decorate my childhood bedroom in materials that had tea inspired motifs and prints. As far as tea is concerned I can enjoy nearly every kind of tea. 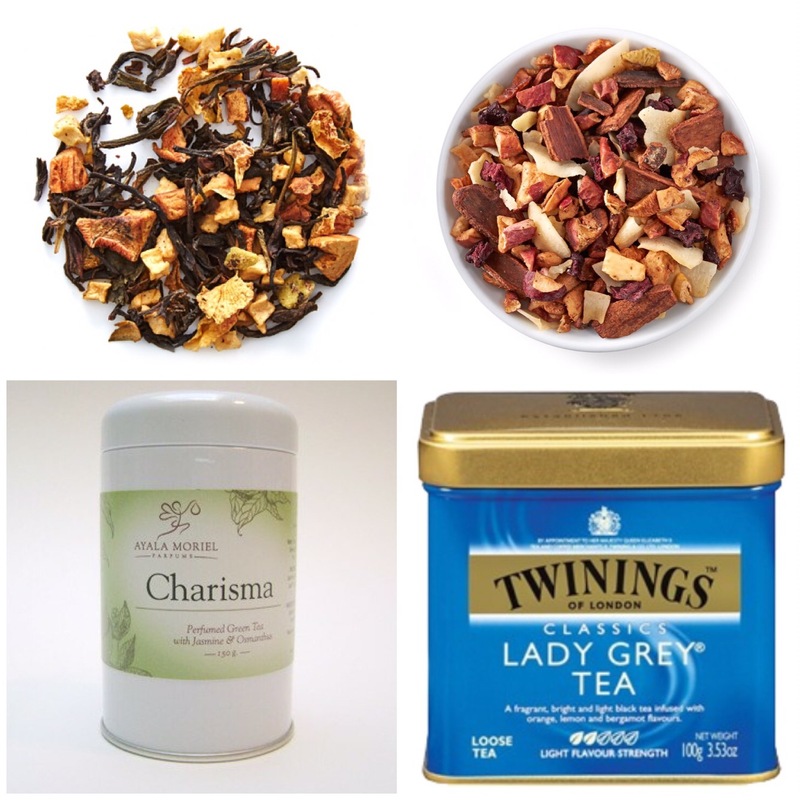 Lucky for me (and all of the other tea grannies out there), tea seems to be quickly gaining popularity as more than a delicious, healthy, healing drink but as something that is trendy. Tea shops such as Murchies, Teavana and David’s Tea (my favorite) are growing and expanding rapidly as people are becoming more and more aware of the drink’s health benefits, both physically, mentally, and emotionally. 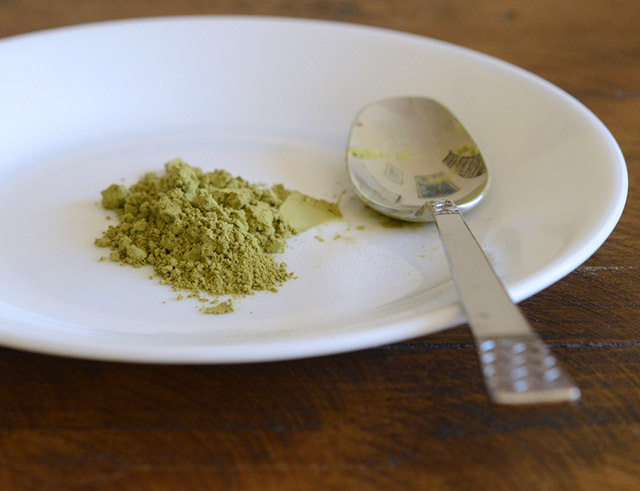 One form of tea that has become more popular in particular is matcha tea. Matcha is a powdered form of green tea from Japan. Matcha is rich in nutrients such as chlorophyll, selenium, vitamin C, vitamin A, and potassium. It is also high in caffeine but also contains something called L-theanine which has been proven to reduce stress and anxiety and promote an overall sense of calm and wellbeing. It is even said that monks have chosen matcha over other beverages to aid in their meditation, to create an calm sense of alertness and focus. Matcha is definitely a “superfood” of the moment but for good reason as it is filled with nutrients and antioxidants. It’s easy to enjoy on a regular basis. Even if you’re not a tea person, simply slip a spoonful in your smoothie or baked goods. I added them to my pancakes along with some raspberries and was very pleased with the results. The matcha and vanilla combined to create a flavor reminiscent of green tea icecream. The slight floral bitterness of the matcha complemented the sticky sweetness of the syrup and berries. 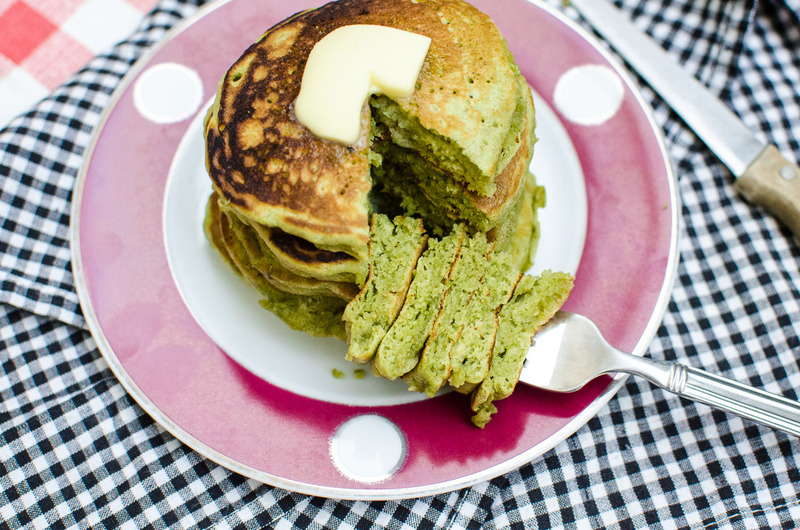 There are a ton of recipes available for green tea pancakes but the one I used was this one here. I love to eat pancakes any time of day, any day of the week. My boyfriend and I usually make milk chocolate chip pancakes on our mornings off together but I think next time we have a pancake breakfast I am going to have to make these and see what he thinks. 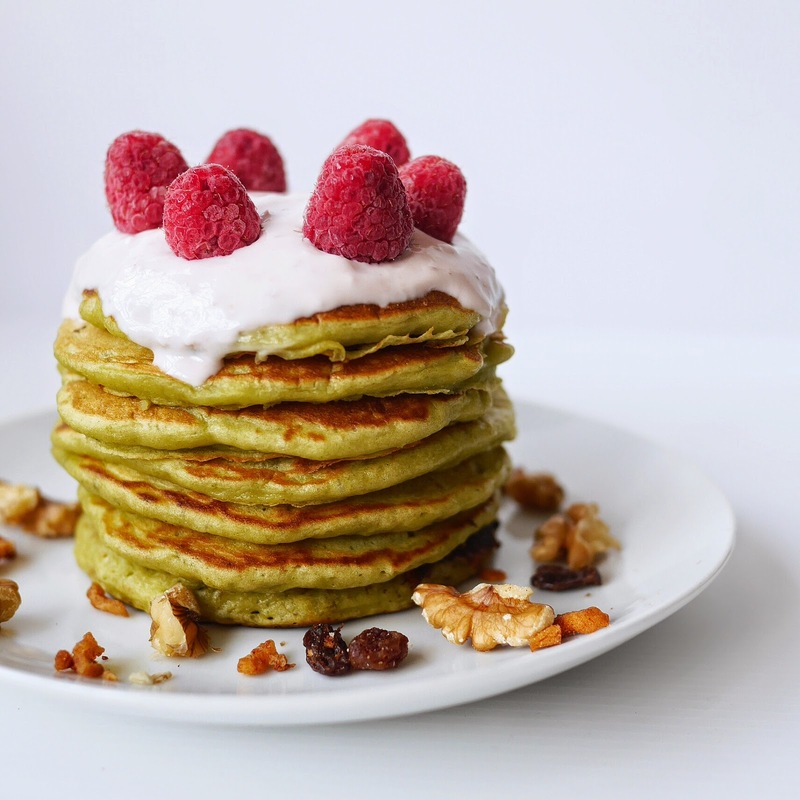 Purely from an aesthetic point of view, green pancakes with dots of red raspberries are just gorgeous. Pair with an iced matcha latte for a pretty, delicious and somewhat healthy summer breakfast (or lunch, or dinner).